1787 saw the birth of the founder of Cognac Chabasse. Jean-Baptiste dedicated his life to the planting of vines and creation of eaux-de-vie and soon became known for the quality of cognacs his house produced. But not only did he concentrate on the here and now, but his vision was for the family members who would take over long after he was dead. Because of this vision, he ensured that his vines were planted in the best positions and he did his utmost to ensure that he left a legacy for his children and grandchildren to carry on. In the early 1900s, the house was taken over by Louis Olivier Chabasse. He combined his love of cognac with his love of travel, introducing the cognacs of the house of Chabasse to all continents of the globe. It was on his overseas journeys that he met Elizabeth Bowen, who managed a farm in the area of Madras in India. For her, Louis Olivier created a special cognac brand, which still bears her name today: Cognac Bowen. 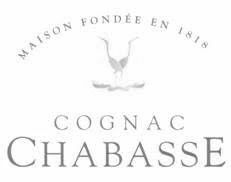 Today, Chabasse Cognac is headed by Réné-Luc Chabasse. The cognacs of Chabasse are enjoyed throughout the world, and Réné-Luc has indulged his love of the arts to create bold bottles and packaging. He has chosen a Saintonge image – the Romanesque arch – as a feature of Chabasse cognac bottles. Cognac Chabasse has a large range and also produces a Pineau de Charentes. Prices range from €29 for a bottle of the Chabasse VS de Luxe through to €6000 for a bottle of the Chabasse Baccarat – a very old cognac beautifully presented in a wooden case. It is also possible to purchase miniature bottles containing just 0.05 of a litre of their VS, VSOP, Napoleon, XO and XO Imperial. There is no information available about visiting Cognac Chabasse.